If you’re tired of all the clutter in your home or garage, get additional storage space with a Wood or Steel Outdoor Storage Shed. 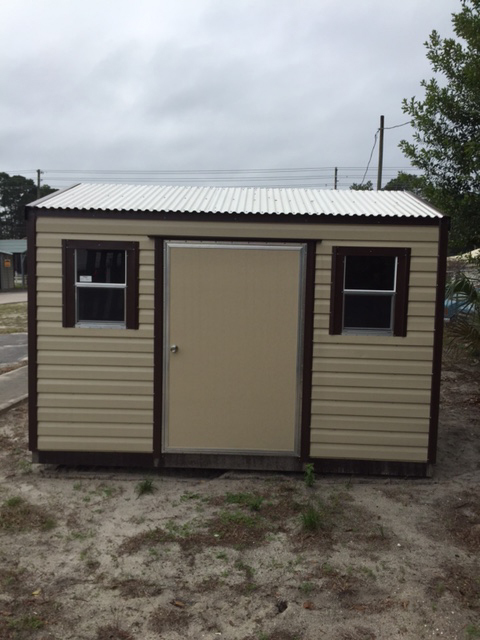 An Outdoor Storage Shed is the perfect home for all of your tools, lawn equipment, patio furniture, and other household items. Put your trust in the Better Fence Company, and we'll custom build and install your new shed today in DeLand, Palm Coast, DeBary, Deltona, Orange City, and all throughout Volusia and Flagler Counties! 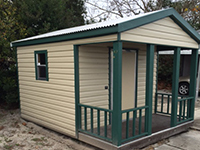 Our attractive wood and steel frame sheds are professionally constructed with the same quality and care of a house. 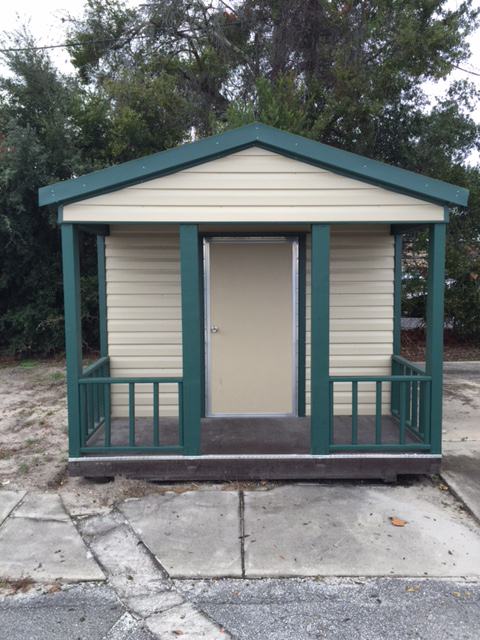 In fact, some of our models include vaulted ceilings, gable roofs and a front porch! And they are built tough for the Central Florida climate. 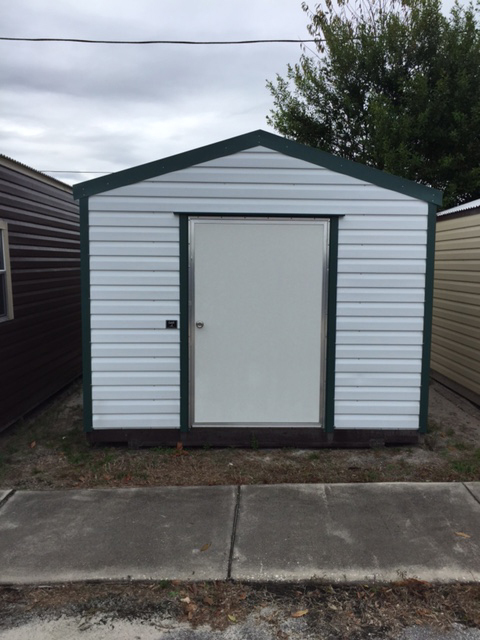 Storage sheds offer plenty of space to safely store all of your household goods. Free up additional living space and finally enjoy your home again. 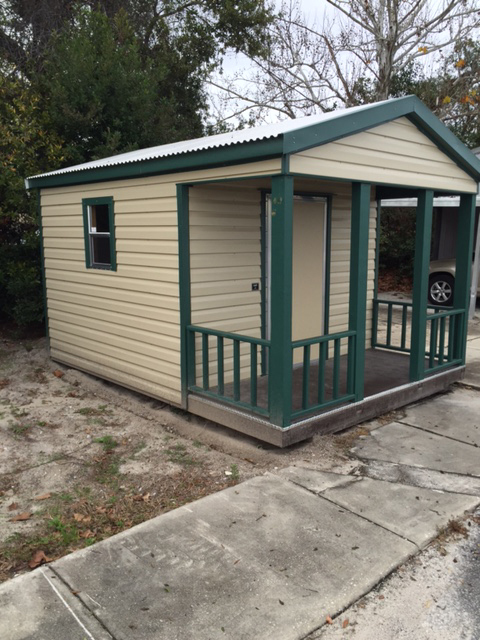 You’re home will look and feel cleaner, bigger and brighter with everything safely stored in a wood or steel shed. Wood sheds are the most popular outside storage solution. And a wood shed from Better Fence Company makes a great addition to any home. 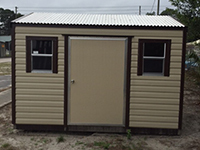 We expertly customize your shed to meet your unique storage space requirements. The internal air circulation is well-controlled to limit moisture while protecting storage items. They can be further enhanced with flower beds, cupolas and other decorations to complement existing landscaping and blend into your garden features. Wood frame construction with durable yellow Southern Pine - one of the strongest lumber materials available. Roofs feature a stainless steel hat channel to minimize the potential for leaks. Precision engineered hurricane clips provide extra wall support in all weather conditions. Treated 23/32 plywood flooring panels have a loading capacity of 125 pounds-per-square-foot for increased stability and structure support. Get a free estimate for a wood shed today! 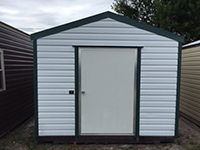 A steel shed is the ultimate outdoor storage solution. Utilizing an all steel construction right down to the screws provides superior protection for your tools, lawn equipment and other household goods. Not only does steel have the highest strength-to-building ratio, there is no warping or cracking. Plus, unlike other building materials, steel is naturally resistant to termites. It’s completely recyclable making it earth-friendly too. Steel frame construction with heavy-duty 18-guage galvanized steel for superior strength, stability and protection from rust. Steel studs are computer-aligned for accuracy. Constructed using steel screws instead of nails to improve shed stability during windy conditions. Steel truss C-channel roof system maintains structural support and integrity. Get a free estimate today for a steel shed from Better Fence Company! 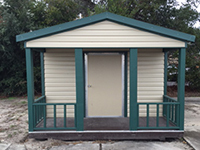 If you live in Volusia, including DeLand, Orange City, Debary, Deltona, and other surrounding areas and you are looking for a professional, locally owned and operated member of your community to handle your wood or steel sheds or outside storage solutions needs then Better Fence Co. is the right choice for you.